Srinagar, Jammu and Kashmir's summer capital, recorded a minimum temperature of 3.5 degrees Celsius, an official of the Met department said here. The Chillai-Kalan, a 40-day period of harsh winter, on Wednesday ended without a major snowfall in Kashmir as the night temperature rose across the valley. During Chillai-Kalan, the possibility of snowfall is maximum. While there was downpour when the period began and ended this season, it was one of the driest in four decades. The 40-day period will be followed by a 20-day long 'Chillai-Khurd' (small cold) and a 10-day long 'Chillai-Bachha' (baby cold). 'Chillai-Kalan', had marked its beginning on December 21 with mercury dipping to the season's record low at several places. 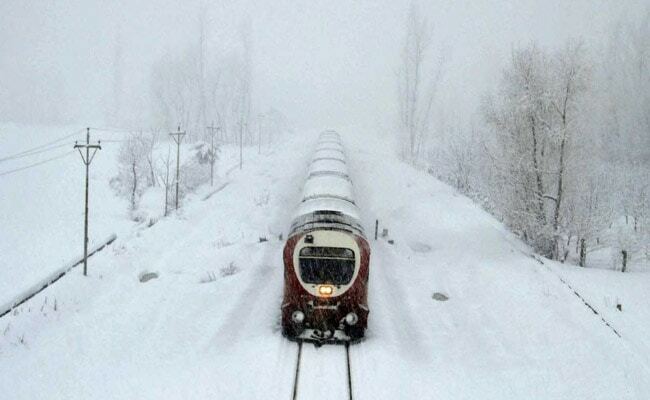 Srinagar witnessed a six-year-low night temperature in the month of December and settled at minus 6.5 degrees Celsius. Kashmir Valley and Ladakh region have been hit by severe cold as the night temperature dropped to the season's lowest, except Pahalgam and Gulmarg, a MeT department official said in Srinagar. He said all weather stations in the valley - except Pahalgam and Gulmarg - recorded minimum temperatures above the freezing point. Gulmarg, a popular ski-resort, recorded a low of -3.6C, while Pahalgam - a health resort which serves as one of the base camps for the annual Amarnath Yatra - recorded a low of -2.5C last night, the official said. Kargil town of Ladakh region continued to freeze at - 15.0C for the third consecutive night, while the nearby Leh town recorded a low of -7.1C.